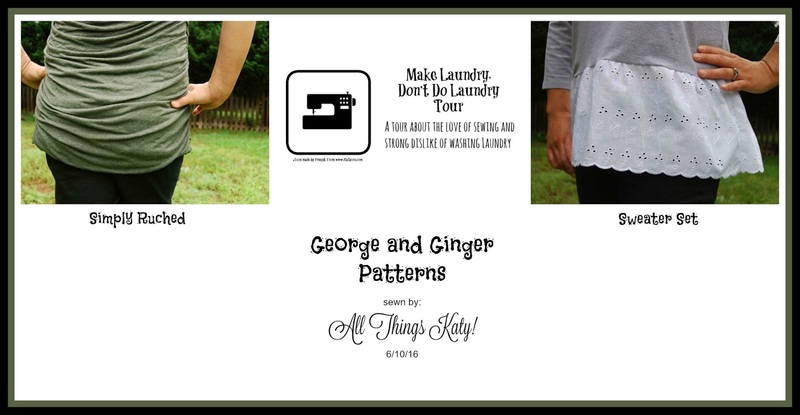 Make Laundry, Don't Do Laundry Blog Tour- Featuring George and Ginger Co. While I don't necessarily enjoy housework, I don't usually mind doing it. Everything ends up neat and orderly in the end.... perfect for my type A, OCD self. However, there is one chore that my whole family will agree that we all dislike... laundry!!! We all hate the whole process- washing, drying, folding and putting away...!! It is most definitely a chore! So, when I had the opportunity to join the Make Laundry, Don't Do Laundry Blog tour, I was like, "Sign me up!" I'd much rather sew up something new to wear than do the laundry! Hee, hee! For the Make Laundry, Don't Do Laundry Blog tour, I did a bit of sewing just for me. I made two tops from a new-to-me PDF pattern designer, George and Ginger Co. I made the George and Ginger Co. Simply Ruched Top and the Sweater Set. First, lets talk about the George and Ginger Co. Sweater Set PDF pattern. -The George and Ginger Co. Sweater Set is sized for XXS-2X. -The George and Ginger Co. Sweater Set is based off the average 5'-6" tall woman. -The George and Ginger Co. Sweater Set includes two different options- Accent sweater or Caftan Sweater. These are two totally different looks included in the same pattern- I like when a pattern can multitask! -The George and Ginger Co. Sweater Set PDF sewing pattern features layer pattern pieces. This means that you can print only the size that you need/want. 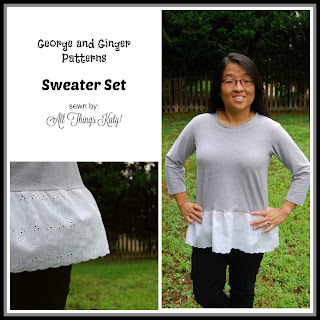 -The George and Ginger Co. Sweater Set PDF sewing pattern features step-by-step shaded diagrams and written instructions. -The George and Ginger Co. Sweater Set PDF sewing pattern includes a sizing guide, glossary of terms, finished size chart, stretch guide, fabric yardage chart, cutting chart and pattern piece layout diagram. I sewed up a size 8 George and Ginger Co. Sweater Set, view Accent sweater. Because summer temps are definitely upon us here in the Carolinas, I shortened the sleeves to be 3/4 length (not the included long sleeve). 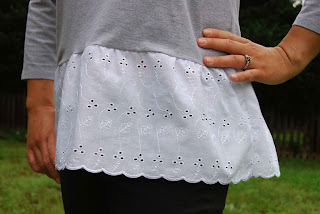 I used 4 way stretch cotton lycra from my stash (originally purchased online from Purpleseamstress Fabrics) for the main part of the sweater and remnants of some border print eyelet left over from another project. I took 1" out of the middle of the bodice piece to account for my height (5'-0"). Also, after sewing everything up, I found the bottom hem to be a bit too voluminous. So, I tapered the bottom 1/2" on both sides. I have to say that the George and Ginger Co. Sweater Set was a breeze to sew up- definitely shorter than a wash/dry cycle of laundry! Ha! Next, I sewed up the George and Ginger Co. Simply Ruched Top. Out of the two, this one was my personal favorite! The fit is flattering and fun to wear! While I had some operator errors sewing this one up (no fault of the pattern! ), I still found the instructions easy to read and follow. -The George and Ginger Co. Simply Ruched Top is sized for XXS-2X. -The George and Ginger Co. Simply Ruched Top is based off the average 5'-6" tall woman. -The George and Ginger Co. 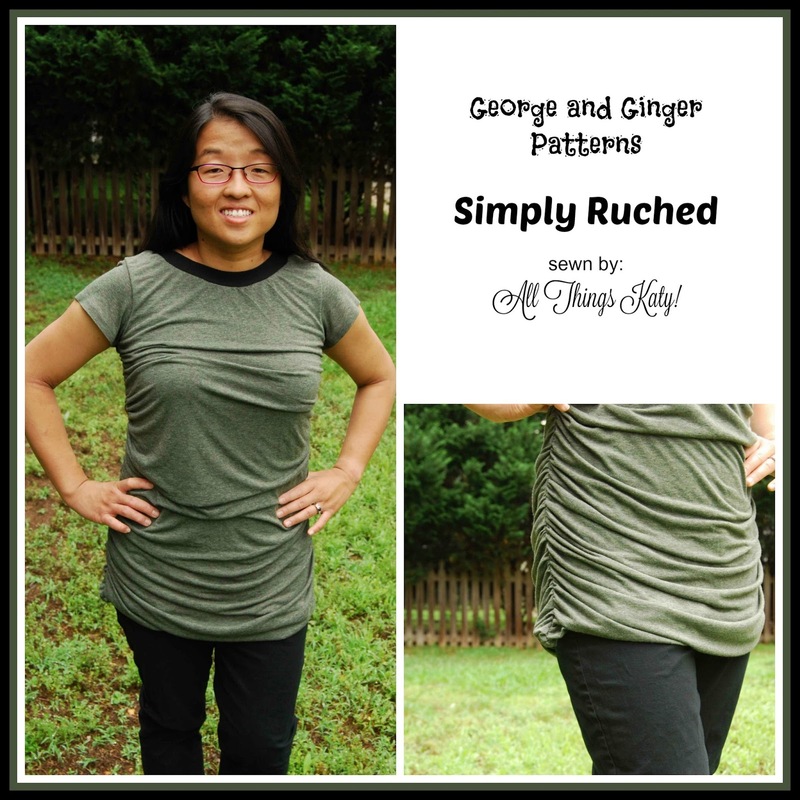 Simply Ruched Top PDF sewing pattern includes three sleeve lengths- short, 3/4 and long. -The George and Ginger Co. 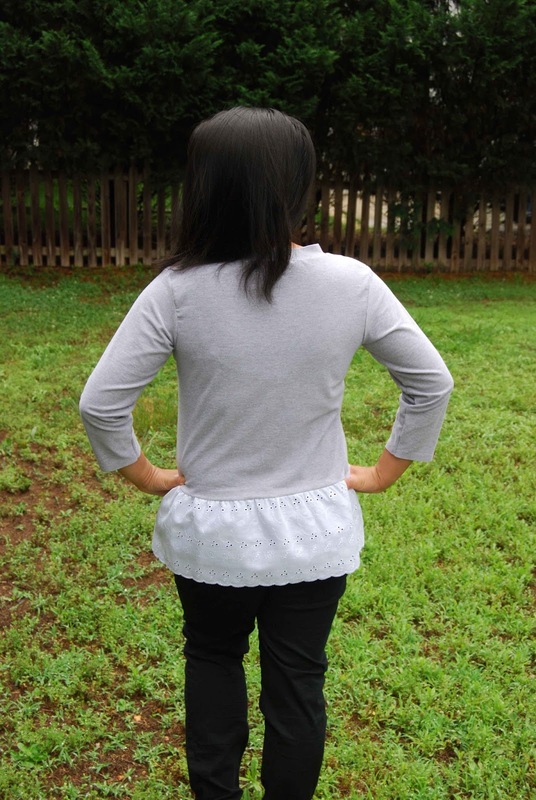 Simply Ruched Top PDF sewing pattern includes optional back ties. -The George and Ginger Co. 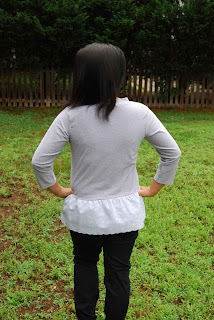 Simply Ruched Top PDF sewing pattern features layer pattern pieces. This means that you can print only the size that you need/want. -The George and Ginger Co. Simply Ruched Top PDF sewing pattern features step-by-step shaded diagrams and written instructions. -The George and Ginger Co. Simply Ruched Top PDF sewing pattern includes a sizing guide, glossary of terms, finished size chart, stretch guide, fabric yardage chart, cutting chart and pattern piece layout diagram. I sewed up a size 8 -The George and Ginger Co. Simply Ruched Top, short sleeve, no back ties. 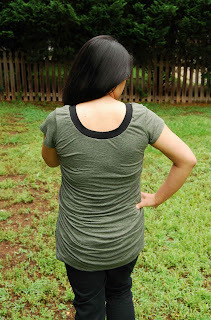 I used some lightweight jersey knit from my stash for the body of the top and 4 way cotton lycra purchased online from Purpleseamstress Fabrics for the neck band. I made no modifications to the pattern and sewed as instructed. I love how the George and Ginger Co. Simply Ruched Top is form-fitting without being too revealing. Since I didn't modify the pattern to account for height, I believe that my version may hit a touch lower (below the seat), than the intended pattern. However, I personally prefer a longer top and found it to be more flattering (and elongating!) this way. I know I'll be wearing the George and Ginger Co. Simply Ruched Top, often! Now, onto some fun! As part of the Make Laundry, Don't Do Laundry Blog tour, you can enter below to win several prize packs. A chance at free patterns and free fabric- I'm there! After you are done entering the giveaway, go ahead and check out all of the other talented bloggers participating in the Make Laundry, Don't Do Laundry Blog tour! Whew! We made it!! 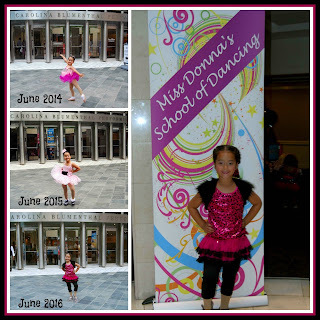 Our little Kindergartner has flourished and bloomed, this year! 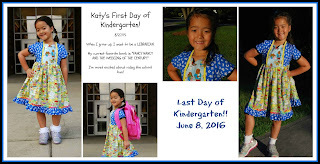 She's reading like a pro, now, and her handwriting has improved! 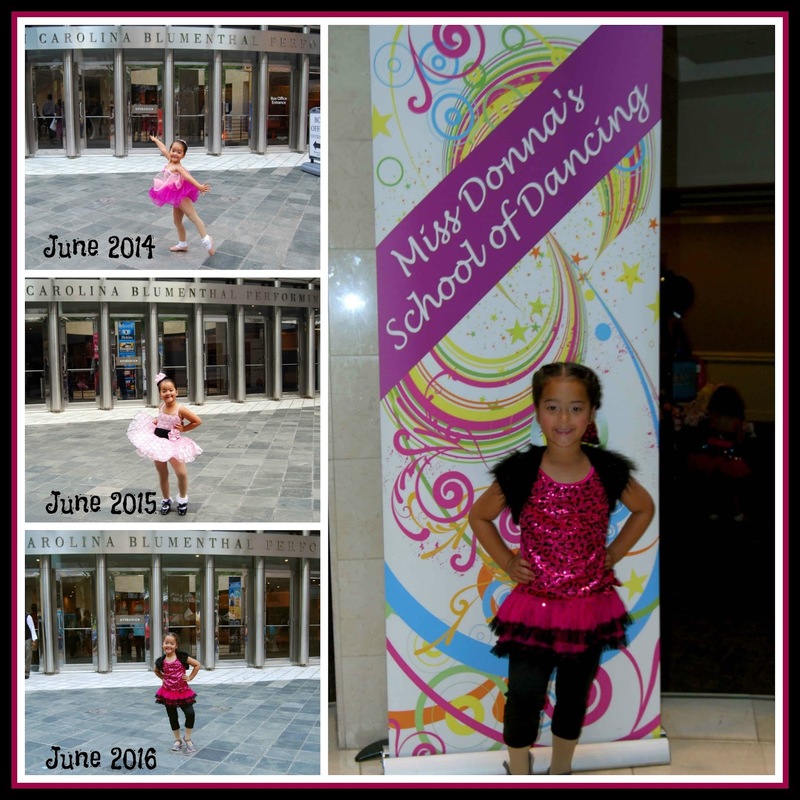 She's made friends and she's learned to work with others. 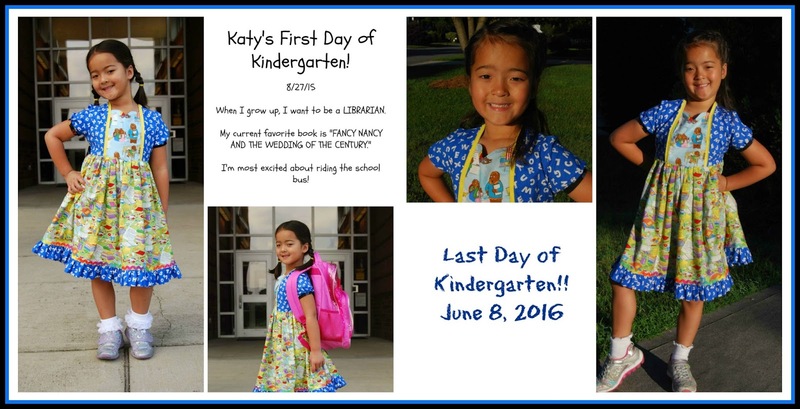 We could not have asked for a better teacher to introduce her to reading and a lifelong love of learning! 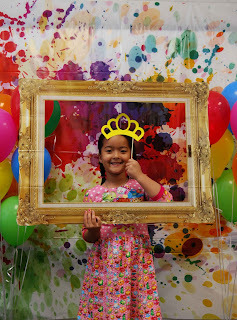 Now, it's time for summer fun!! Woohoo! So, a couple of months ago Hubs got a less than favorable cholesterol screening. As a direct result of this, we've had to completely overhaul our eating habits and food purchases. Shortly after our family's lifestyle change, I was given the opportunity to try out LightLife Smart Dogs through Moms Meet- it couldn't have come at a better time! With a new grill and the summer months upon us, it's a great time to try out a new-to-us, healthier grilling option, such as LightLife Smart Dogs. First off, LightLife Smart Dogs are marketed as, "Lightlife® Smart Dogs® offer up all the juicy flavor you love. Fire up the grill, top with your favorite condiments, and enjoy the ultimate summertime favorite." LightLife Smart Dogs contain the following ingredients; "Water, soy protein isolate, soybean oil, evaporated cane syrup, pea protein isolate, tapioca starch, salt, potassium chloride, bakers yeast extract, carrageenan, dried garlic, natural flavor (from plant sources), natural smoke flavor, xanthan gum, fermented rice flour, guar gum, oleoresin paprika (color)." 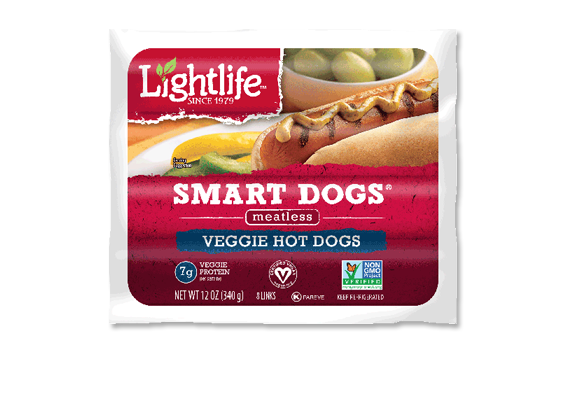 Each LightLife Smart Dogs contains just 50 calories- that's not too bad compared to their meatier (and less healthy) counterpart! Taste-wise, I'm not gonna lie.... LightLife Smart Dogs are a far cry from the real deal and our sample package of LightLife Smart Dogs sadly sat unfinished in our fridge for a long while. While LightLife Smart Dogs are a healthier grilling option, they are most certainly not the tastiest. *sigh* Personally, I found LightLife Smart Dogs to have a kind of weird mouth texture and left a funny, fake after-taste. My carnivore six-year old was not a fan! With all of that being said, I there are some things that I can appreciate about the LightLife company. LightLife includes non-GMO ingredients in their products (they've been doing this since before it was THE thing to do). 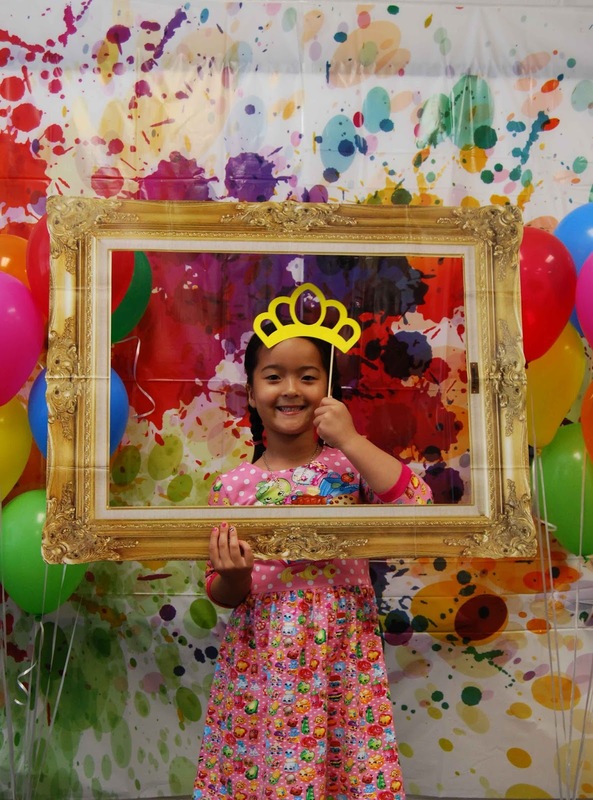 Another thing that makes LightLife admirable is the fact that they make giving back a priority, "Giving back to the community has been a priority since the very beginning. For over 35 years we have contributed 5% of our profits to organizations that support the earth on which we live and healthy lifestyles for people like you." So, in conclusion, we probably won't be making LightLife a regular part of our diet because we just didn't like the taste. However, LightLife does offer a wide variety of plant-based protein products for vegetarians, flexitarians and those like us, just trying to eat a little healthier.